Congratulations Jen Pickerill on winning a Brand New 2019 Toyota Camry SE! Congratulations Jen Pickerill on winning a Brand New 2019 Toyota Camry SE! Merry Christmas! 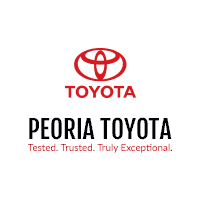 On the 12th Day of Christmas, we are giving away a 2019 Toyota Camry from Peoria Toyota!Greg Whitten from Peoria Toyota is here and Genevieve Stickelmaier, the student who sold the second most raffle tickets will pull today’s winning ticket!CONGRATULATIONS Jen Pickerill from Peoria, IL! Lauren Pickerill sold the grand prize winning ticket. 0 comment(s) so far on Congratulations Jen Pickerill on winning a Brand New 2019 Toyota Camry SE!